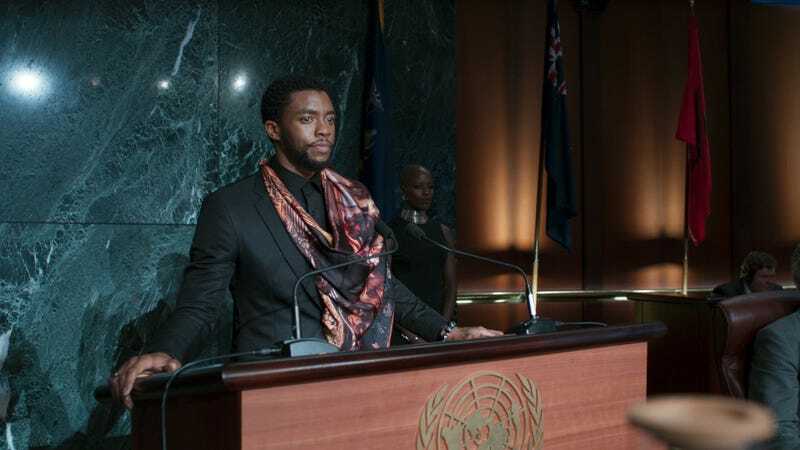 The day Chadwick Boseman found out Marvel Studios wanted him to play Black Panther, he may as well have woken up in another world. He was in Europe promoting another movie, hadn’t heard that Marvel was casting the role, and didn’t even have international calling on his cell phone. The important stuff was a phone call from Marvel Studios president Kevin Feige, Marvel producers Louis D’Esposito, Nate Moore, and directors Joe and Anthony Russo. “You hear people say this all the time when you’re in a setting like this but he was the only choice,” Feige said. So, unlike some of the biggest stars currently playing superheroes, Boseman didn’t have to do anything to get the role. No auditions, no nothing. He just had to be himself. Plus, though they didn’t know it at the time, that decision was also a huge factor in landing director Ryan Coogler, who was at first unsure if Black Panther should be his next film. And it’s a pretty amazing story too.